You can find a ton of live wallpapers for your Android device on Google Play, but the more alluring interactive ones are a harder to come by, which can bring your home screen to life using a few finger swipes and taps. Since these elusive wallpapers are few and far between, instead of just leaving you to your own devices to scour through the cluttered edifice that is Google Play, I'm going to list my top five favorite (and free) interactive live wallpapers for you. Cells Live Wallpaper Free by XDA Developer member rtx101 is a very new and modern looking wallpaper app for Android. 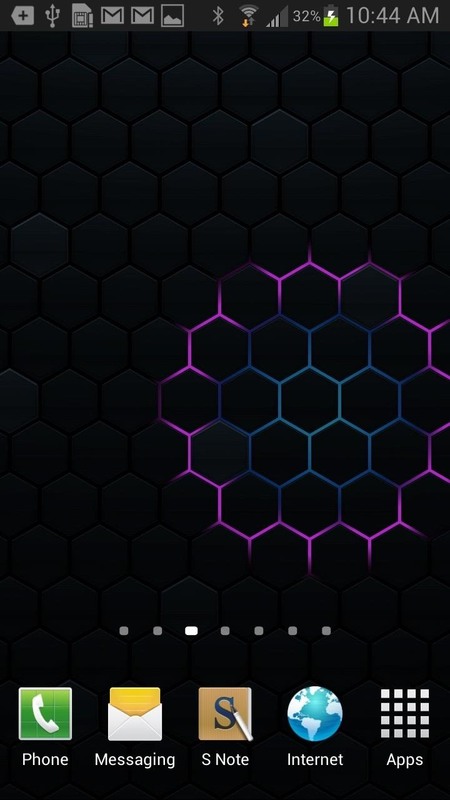 With Cells, you can touch the screen and cause a honeycomb ripple effect of varying colors. If you slide your finger across the screen, the lights will follow. 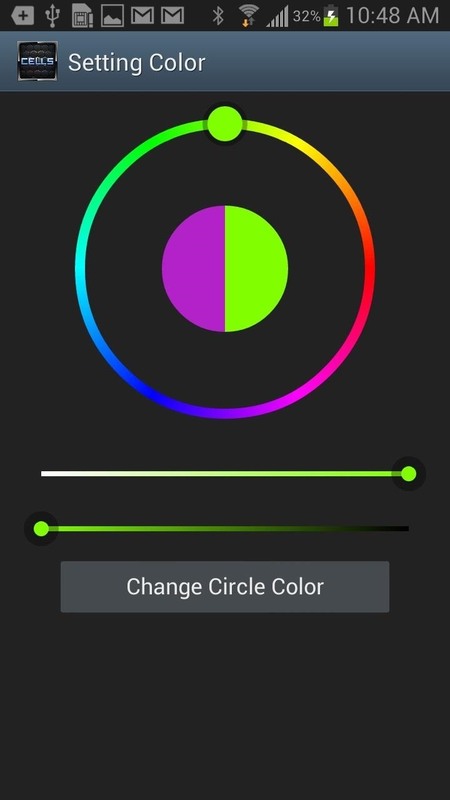 You can go into the settings and change the color of the background and the lights when you tap or slide. The biggest problem with interactive live wallpapers is usually that they're laggy and power consuming, but this app works smoothly and didn't drain my battery. 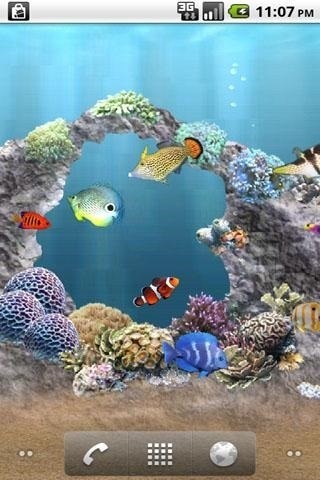 aniPet Aquarium LiveWallpaper by aniFree is a virtual fish tank. Once you set the aquarium wallpaper as your background, you can tap on the top of the screen to feed the fish and watch a couple of them fight over it. If you purchase the pro version ($1.99), you can select from over 180 different species with up to 20 fish in the tank at one time. The free version only allows 2 fish on-screen at once, but I've never been good with caring for fish anyway, so 2 is probably better. 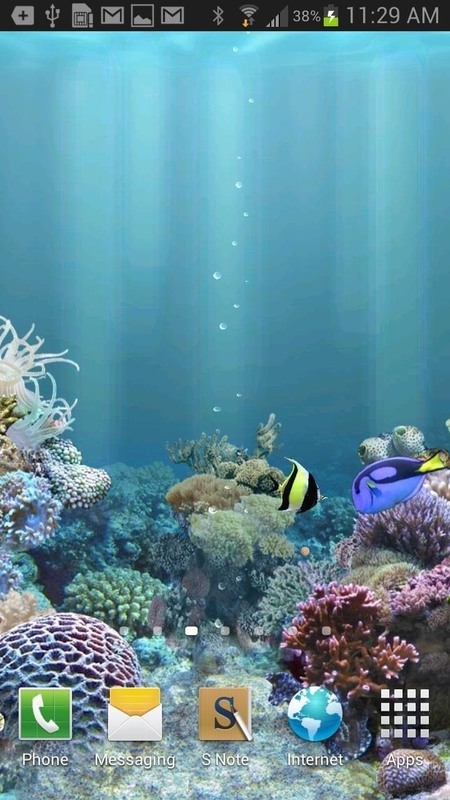 You can feed baby fish and watch them grow, as well as change the surroundings and configure settings with fish speed, growth and food type. They also have a freshwater-only, goldfish-only, and koi-only live wallpaper. If you're a space fanatic like me, Galactic Core Free Wallpaper is a great application from Kittehface Software, who also created the Photosphere Live Wallpaper that I've shown before. 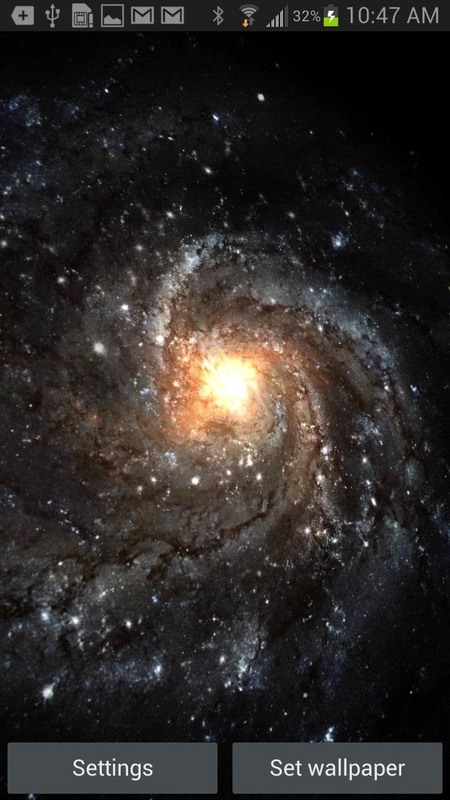 Galactic Core features a beautiful rotating spiral galaxy that responds to your touch. 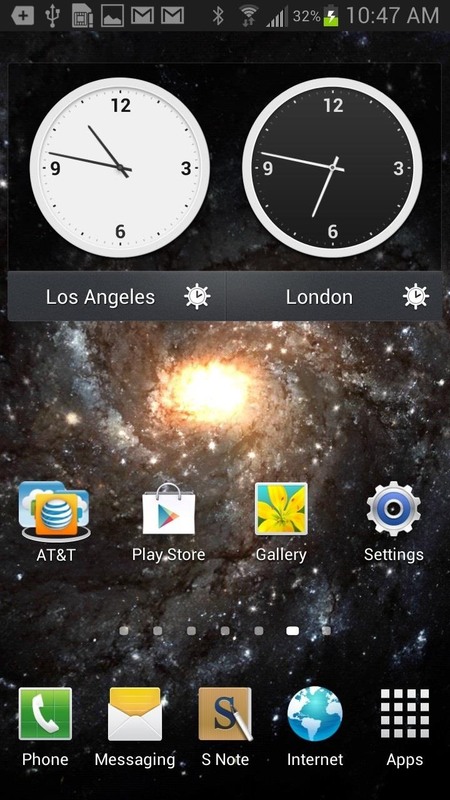 As you change windows in your homescreen, the galaxy tilts according to your swipes. There is also a paid version of Galactic Core Live Wallpaper ($0.99) that comes with several more settings and options including alternate visuals, orientation sensor utilities and control, and the ability to rotate. If you're really into fish and one of aniFree's tanks doesn't satisfy your needs, you can check out Koi Free Live Wallpaper, also by Kittehface Software. Koi has a fully interactive screen, with a swipe causing a ripple effect. Wherever you touch the screen, the fish react and scramble around the pond. 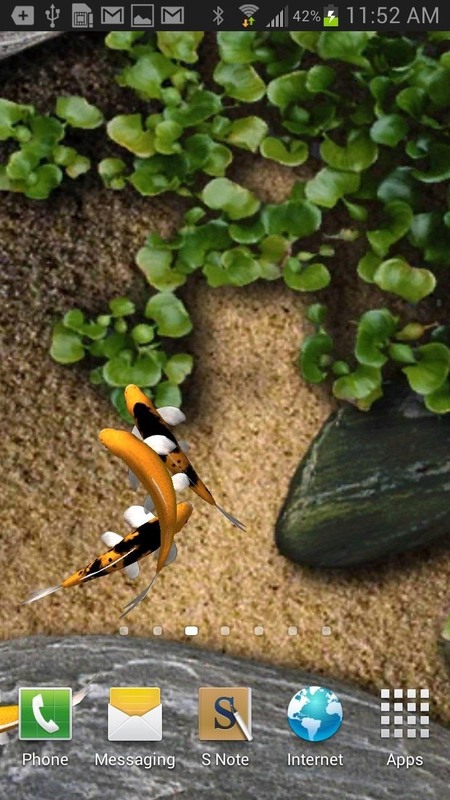 You can also feed the fish by double-tapping on the screen. 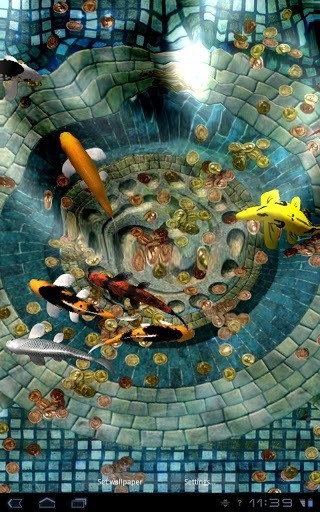 With the paid version of Koi Live Wallpaper ($0.99), you can configure the settings, allowing you to control the fish population, add different koi fish, change the background, change the day/weather and more. 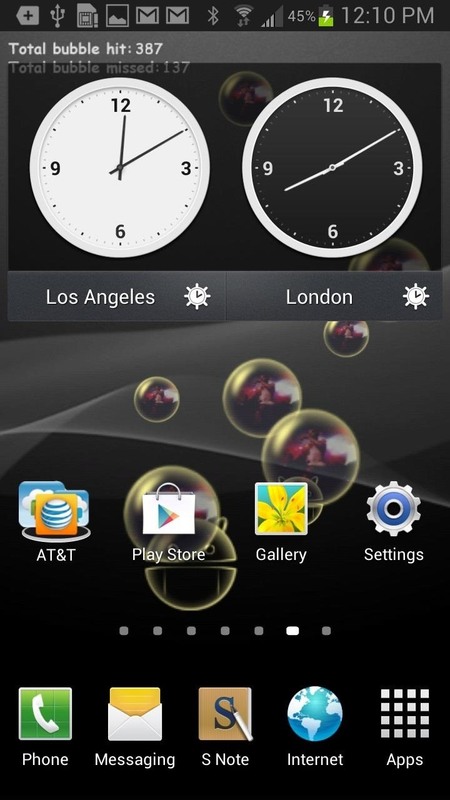 Bubble Live Wallpaper by Android developer xllusion allows you to pop bubbles from your home screen at all times. While it may seem simple, you can customize the app to make it more personal, such as the bubble image, color theme, bubble counter and more. 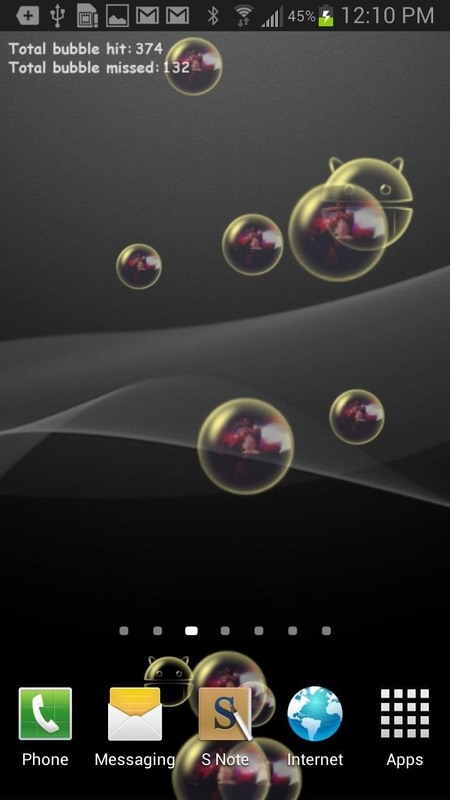 If you want to unlock more themes, you can purchase the pro version of Bubble Live Wallpaper ($1.59). What Are Your Favorite Interactive Ones? Do you have a favorite free interactive live wallpaper that's not on the list? Let us know in the comments below. Solar System 3D to me is one of the cooler live wallpapers out there, it has a lot of features to choose from, hopefully they will check it out and do an article about, only time will tell. Video live wallpaper is the best. Along with Tubemate, available on the net, you can have any video in the background. But what about battery draining? are they hogs? *Due to some technical requirements we moved Cells onto Cells PRO. It's still free as the old but with more features!